URGENT NEED FOR A FULL TIME SURGERY RN's WITH EXPERIENCE IN PACU, ENDOSCOPY, CIRCULATING AND RECOVERY AREAS. Must be experienced in general, orthopedic, ENT and podiatry procedures. 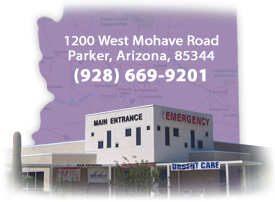 Join a great Surgery Team at a wonderful Critical Access Hospital in Parker, AZ. Job Summary: Provides direct patient care to neonate through geriatric patient populations. Addresses the psychosocial, physical and general aspects of care related to the surgical environment. Communicates with surgeon and anesthesiologist continuously and as needed about patient condition. Assists surgeon during operative and invasive procedures. Assists with the maintenance of surgical equipment and inventory. Participates in performance improvement activities. Assesses operating room for equipment functioning and readiness, obtains supplies for individual cases and ensures all appropriate needs of surgical operating team are met. Monitors, positions and assists patient during procedure. Rotates through all department of Surgery. �	Current Registered Nurse licensure in the State of AZ. �	Current ACLS or Basic EKG or Arrhythmia-identification certification. �	Minimum of one (1) year work experience in the operating room. �	Conscious Sedation Certification required within 30 days of hire. �	Able to communicate effectively in English, both verbally and in writing. �	For physical demands of position, including vision, hearing, repetitive motion and environment, see following description.